The reading habit has reached a dangerous stage when the reader begins stacking up and reading books about books, books about reading, and books about authors. At that stage, there is no real help or hope for the reader. There is only the certainty that the books regarding books will lead to yet more books, including more books about the books. Needless to say, I have sought, solicited, begged for, stayed awake at night crying for, and offering to pay for help. No use. Books lead to books. Books lead to books about books. Books about books lead to more books and books about books. Here are some recent (and a not so recent) stack of books regarding books, reading, and authors. On Reading Well: Finding the Good Life through Great Books by Karen Swallow Prior is published by Baker Books. This book really looks good. I have not started it yet, but I am really looking forward to it. The chapters focus on particular virtues as found in great classics. Chapters focus on such works as The History of Tom Jones, a Foundling by Henry Fielding, The Great Gatsby by F. Scott Fitzgerald, A Tale of Two Cities by Charles Dickens, The Adventures of Huckleberry Finn by Mark Twain, Silence by Shusaku Endo, The Road by Cormac McCarthy, The Death of Ivan Ilych by Leo Tolstoy, Ethan Frome by Edith Wharton, Pilgrim’s Progress by John Bunyan, and Persuasion by Jane Austen. BUY THIS ONE FROM Heart and Mind Books. 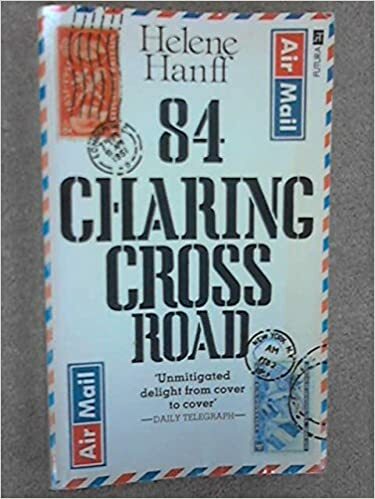 I first read 84 Charing Cross Road by Helen Hanff some years ago. I had previously watched the slow, but enjoyable movie version. It is charted for another reading soon. 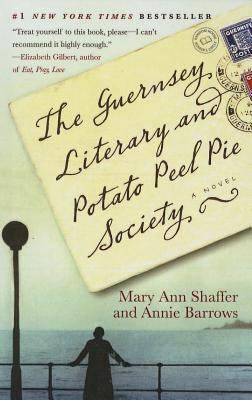 Several times in past years, I looked at the book titled The Guernsey Literary and Potato Peel Pie Society by Mary Ann Shaffer and Annie Barrows. Yet I didn’t buy it. Then a friend, Myra Francis Johnston, told me about the movie. So, one night we watched the movie, and I was in love with the story. The book is now on my “must read when I want a purely enjoyable book” stack. I will soon, Lord willing, be writing a review of Our Prince of Scribes: Writers Remember Pat Conroy, edited by Nicole Seitz and Jonathan Haupt. It is published by the University of Georgia Press. My initial response is that this book makes me sad. It makes me sad because I never met Pat Conroy, only started reading his books a few years back, and never wrote him a letter. Along with whatever literary gifts he had, he was gregarious, outgoing, fun to be around, and incredibly helpful to aspiring authors. He was also dedicated to his fans. Conroy was a man with many fine qualities that we don’t always find in literary folk. 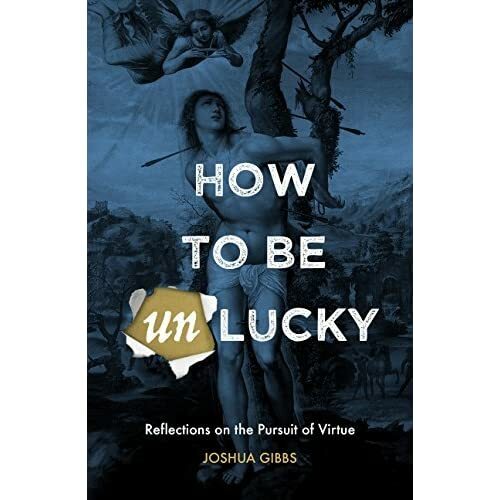 I am well into reading How to be Unlucky: Reflections on the Pursuit of Virtue by Joshua Gibbs. It is published by Circe Institute. Then one year, Matthew Smallwood gave a couple of talks on the book to my Humanities class. I still didn’t read it. Then about 6 years ago, my Humanities class and I read the book together. I thought it was quite good. Two years ago, I read it again with another Humanities class. But now, sitting at the feet of Mr. Gibbs, I am filled with repentance and sorrow for not having a deep enough experience with Boethius. GET THIS BOOK from the Circe Institute and get a copy of Boethius and get to reading. I am overwhelmingly jealous of my daughter TaraJane who is taking a class from Dr. Jessica Hooten Wilson, author of Giving the Devil His Due: Demonic Authority in the Fiction of Flannery O’Connor and Fyodor Dostoevsky. As a consolation prize, I got to meet Dr. Wilson, and she autographed my copy of her book. Dr. Wilson studied under Dr. Louise Cowan, who was the greatest literature teacher in America. And, this book is about two of my favorite authors–Flannery O’Connor and Fyodor Dostoevsky. 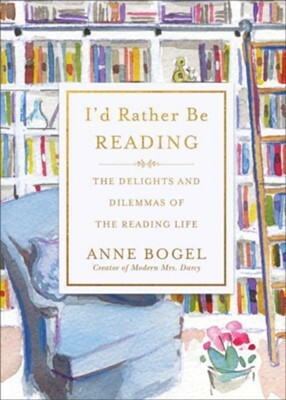 A friend sent me a copy of I’d Rather Be Reading: the Delights and Dilemmas of the Reading Life by Anne Bogel. It is hard to imagine a book being more fun and encouraging than this one. This read was a total dessert experience. As soon as I finish the tribute book to Pat Conroy, I will begin reading some of his books that I never got to. 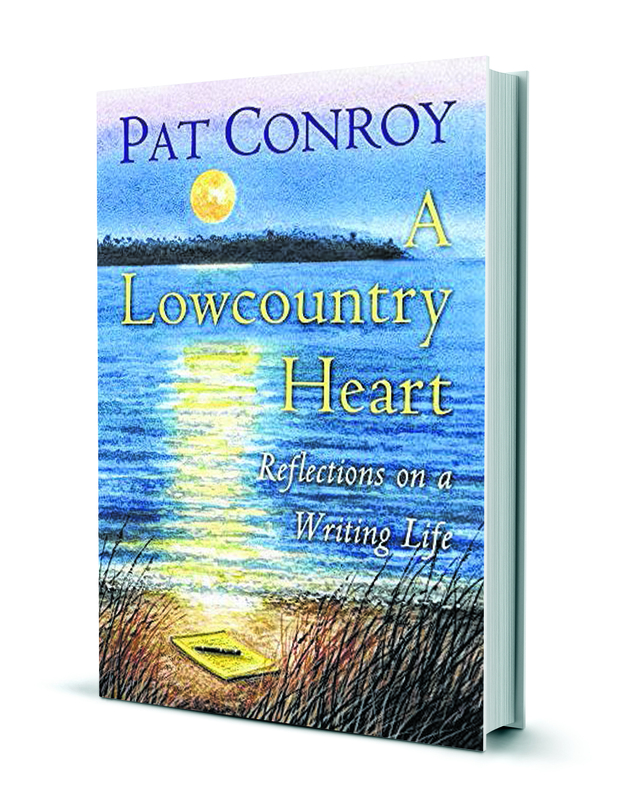 Lowcountry Heart: Reflections on a Writing Life was published posthumously in 2016 shortly after Conroy’s death. Marked down and located in the bargain section of our local Books-A-Million, I was quite glad to find this book. A few years back, I read his other book of essays called My Reading Life. In fact, the copy I have of that book is autographed. That is the closest I ever got to Conroy, but I still have the words the wrote. 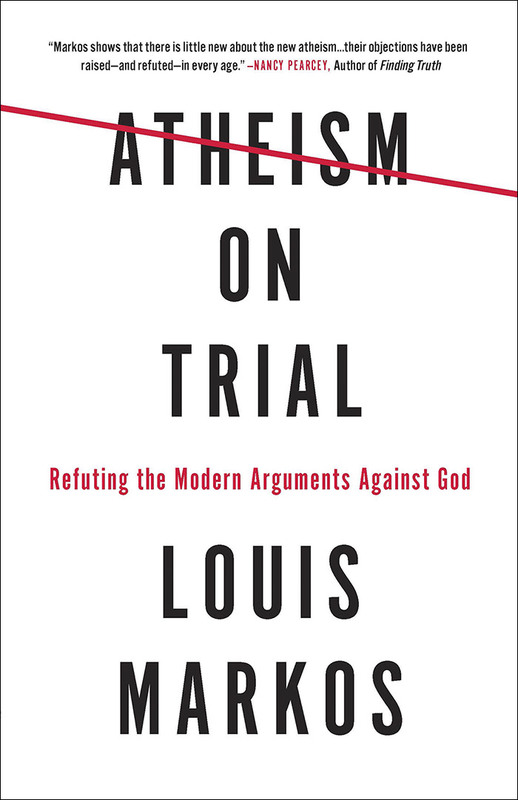 Atheism On Trial, written by Louis Markos, is published by Harvest House Publishers. It came out this year–2018. Louis Markos is a delightfully deceptive man. On the one hand, he is lively–as in bouncing off the walls, full of energy, laughing and talking non-stop in his lectures. He loves Lewis and Tolkien; he loves literature; he loves talking about his love of Lewis, Tolkien, and literature. As such, he is God’s gift of an energy burst to an often weary Christian community. I could never have trouble staying awake when he is talking. On the other hand, he is a deeply read and careful scholar. Yes, he can take you on a running tour of Narnia and Middle Earth, but he can also discuss the ancient Greeks, modern skeptics, and post-modern philosophers. Over the past several years, I have had an increasing appreciation for Markos’ work after having read his books, listened to him lecture, and met him in person. Atheism, as a belief system and what is even a religious belief system, has had a pretty favorable run over the past few years. When I was in school as a student, the premier American atheist spokesperson was Madalyn Murray O’Hair. She was quite an obnoxious figure and a loud mouth that was an easy target for many. Her legal battles yielded some fruit such as getting prayer out of the public schools. As far as presenting a real threat to religious belief, whether merely believing in a Deity or believing in Christianity, O’Hair was fluff. I sure there were better representatives of the cause of atheism. Also, that was an age where Communism was a real fear, and atheism is a bedrock doctrine for true followers of Marx. In recent years, several key figures have emerged as the public intellectual atheists for our time. The late Christopher Hitchens was one of the best. Cynical, droll, witty, and unswerving, he was a strong force. On many occasions he locked horns with Christian theists and was the type of man who elicited admiration even from those who did not agree with him. On the front lines more often has been Richard Dawkins. Along with Sam Harris and Daniel Dennett, these men have been able to “make atheism a household word” (page 11). While it is probably a little more easy to embrace atheism in our day, I don’t find it a force to either fear or to confront very often. All my life–living in the rural Southern Bible Belt–I have been surrounded by plenty of people who have had weird views of God, unbiblical notions of God, inconsistent views of God, heretical views of God, and unclear views of God. But I am not sure I could name five people who I actually and personally know who are atheists. Of course, along with living in the Bible Belt, I have worked in a Christian school for more than two decades and served as a pastor and church leader that long as well. In other words, I am far from the madding crowd. So, I do not believe in God because of the cosmological argument, the moral argument, the ontological argument, the argument from design, or any other traditional defense of theism. While not convinced by any of them, I feel quite confirmed by all of them. I also find Cornelius Van Til’s transcendental argument compelling. I think Greg Bahnsen’s use of that argument in the famous Bahnsen-Stein debate was a work of art. 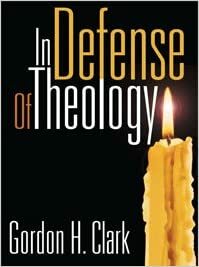 I am strengthened and blessed by Gordon Clark’s foundational premise that the Bible is the Word of God and find that to be a sufficient and convincing case. I find pragmatic arguments convincing. I find Pascal’s Wager acceptable. I find God with my limited use of rational faculties; I find God with all empirical evidence; I think logic proves God; I think history proves God. I think I was convinced of God’s existence from the earliest days of my life. The fact that my environment produced my beliefs presents no concern for me. Obviously, the way I think and who I am and how I came to be who I am is different than the experiences of others. And I do believe it is important for Christians to be well armed, grounded, briefed, and trained to understand atheism. Despite the many new and somewhat formidable spokespersons (what a clunky word) for atheism, it is not the new kid on the block. Also, there are not conditions–scientific or evolutionary or intellectual–that explain why atheism is more adequate an explanation for reality today than it would have been in the past. This is the primary strength of Markos’ Atheism on Trial. 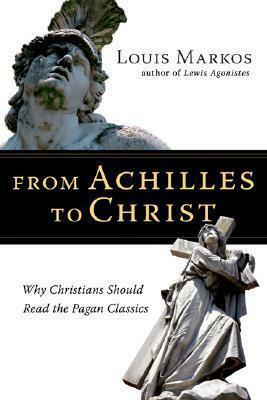 Dr. Markos devotes the bulk of the book to going after the long tradition of arguments and proponents of atheists. He starts where all debates within Western Civilization start–with the Greeks and the Romans. If anyone thinks that all ancient folk believed in gods or God or mystical forces, they have not read the homework. All through the centuries there have been some hombres who have dug in against theism, miracles, absolute truths, the universe having a beginning, and other points of contention. If I were to make one major change to the cover of the book, it would be to have and highlight the words from Ecclesiastes: “There is nothing new under the sun.” But while the arguments against Theism are not new, there is always the need for us to either know the rebuttals or know where to find them. I received and read a review copy of Saving Truth by Abdu Murray back in the summer (2018). Saving Truth is published by Zondervan. The website for Mr. Murray and this book can be found here. Murray is the North American Director with Ravi Zacharias International Ministries. A lawyer by profession, he also teaches and lectures on apologetics and Christian thought. After reading the book in the summer, I neglected to get a review written of it. I will blame it on the adventures of the past summer, including vacation trips to…well, actually, we had no vacation trips and I spent most of the summer at home or at work. So, not getting a review done was no one’s fault but my own. But, in recent weeks the issue of truth came up with the Brett Kavanaugh hearings, the need to revisit this book came up. So I read it a second time. Murray is a cultural apologete for Christianity. Apparently, he lectures, debates, and discusses the Christian faith and Christian-centered issues on college campuses and in various forums, often including many varieties of non-Christian presenters. His first concern in this book is to awaken Christians to the dangerous concept of “post-truth.” We have experienced cases where agendas and beliefs have trumped any quest for truth. This becomes front and center in political debates. In fact, one Senator suggested that Judge Kavanaugh be dropped as a candidate for the SCOTUS simply because of allegations. Another senator whose career was advanced by a false narrative of military service vehemently attacked the judge for not being truthful. What has happened in our day is that the whole world has become a political campaign. Or better, the whole world seems to be under the guidance of the WWE–World Wrestling Entertainment. No need to think that college campuses are places where concerned teachers and students are in a search for the truth either. Truth has and is being pushed the way of the old rotary telephones. Truth then becomes a nice exhibit in a museum, a reminder of a more simplistic and maybe naïve past. Needless to say, Christianity has lots of stock invested in the concept of truth. If truth cannot be known, can not be certain, can not be attained, or does not really exist, the whole fabric of the Faith is ripped to shreds. After all, Jesus declared Himself to be the Truth. From beginning to end, the Bible claims what men like Gordon Clark, Cornelius Van Til, Francis Schaeffer, R, J. Rushdoony, and others have affirmed: In it, God has spoken and the Bible is true. The need of our age and the bulk of this book is toward “clarity in a post-truth world,” as the subtitle indicates. The areas that Murray seeks to bring clarity to are freedom, human dignity, sexuality (and gender and identity), science and faith, and religious pluralism. In many of these areas, Christians can often be harsh in giving answers and/or not know what answers to give. This book is instructive in reminding them of basic Gospel truths and Christian civility. But the contents would also address the unbeliever who might be willing to listen to or, more obviously, read this book. Christianity has answers. A Biblical worldview provides a way of searching out and dealing with life questions, whether they be in the philosophical realm or in deeply personal areas. One part of this book I particularly appreciated was Murray’s discussion of sexuality and gender. I confess that my more instinctive approach to the LGBT people and gender confused people is one of crying, “Repent.” Granted, the Christian message is one of repentance, but it also involves lots of listening and understanding. Jesus addressed all manner of people and did so perfectly. But I need the wisdom and insights of people who have themselves experienced Christ’s changing power over sins and life patterns alien to my own. In his own life experiences, Murray was raised Muslim and embraced that religion. Conversion to Christ was not a quick or overnight matter, but involved a period of nine years. Along with people who are Muslims, Buddhists, Hindus, and other religions, many people hold to varying forms of spirituality or materialism or hodge-podge religious beliefs. Again, Murray provides calm and clear counsel (both for the believing and non-believing reader) that points the way to Christ. We live in difficult times. I could have written those same words at any point in any century. Christians can sometimes be as much of the problem as the solution. Murray cites a case where Christian folk helped make a fear go viral that concerned the Bible being outlawed after the Obergefell court ruling. The basis in fact was a case brought to a Michigan court some years before Obergefell that was thrown out. But Christians were quick to “like and share” the news of this looming threat. Christians can lack understanding of the struggles people go through whose religions are different, whose sexual struggles are different, and whose science-related presuppositions are different. Battering rams are not the preferred Gospel method, however. Along with reading this book, it is profitable to read Rosaria Butterfield’s The Gospel Comes With a House Key. I will soon be reviewing Louis Markos’ Atheism on Trial. Many other books addressing science, gender issues, religious plurality, and other battleground topics could be added to the list. We are blessed with having so many who are gifted and apt at engaging the culture with Christian answers. Saving Truth is well worthy of a spot on the reading list and bookshelf to be read and consulted for help and encouragement in these matters. “When we all get to heaven, what a day of rejoicing that will be!” True words. Praise God for all the promises regarding everlasting life, heaven, being with Christ, being glorified, and so. But John Ortberg’s book Eternity is Now in Session seeks to correct an error or oversight or, maybe, wrongful emphasis. Christians can be saved, in Christ, and believing right things, but still get the priorities and details confused. Eternity is Now in Session by John Ortberg is published by Tyndale Press and came out this year. “What if salvation is not about getting us into heaven, but about getting heaven into us?” Pastor Ortberg asks. The title itself was inspired, as is much of Ortberg’s work, by Dallas Willard. The gist of the book is about discipleship. As indicated already, “getting saved” or getting eternal fire insurance is not what Christianity is all about. Thank God for those cases of contrary folks who linger on their death beds and find the grace of God as life lingers away. But that is not the ideal. For years, many have been trying to awaken the Church from resting content with professions of faith. Life and obedience, transformation, Christian living, growing in grace–these are the needed elements. From beginning to end, this book is a strong exhortation to not be fooled by mere profession, but to actually follow Christ. I will share a few key portions of the book that I made note of. Something I am going to try to remember next time I am involved in a wedding (or even a discussion about marriage) is this point: “A couple gets married and the minister says, ‘The two shall become one’–but which one? I want it to be me.” Page 157. His point is that the same thing tends to happen in regard to God. We want union, but we want it to mean that God is doing what I want. This book is a step by step progression through the Gospel and what should and must be its impact on our lives. Starting with what the Good News actually means, it takes us to the topic of awakening to God being everywhere. A chapter called Purgation deals with the painful, but necessary work of sanctification and the abandoning of sins and idols. Illumination reminds us that need to have our minds enlightened at every step. The final chapter on union reminds us that we are never alone, that union with God is the goal both here and in the future heavenly eternity. Going back through this book, which I read twice, reminds me that almost every page includes a great quote, an exhortation, an application of a Bible truth. This book is great for morning devotions. It would also work well for a study group, a class, or one-on-one discipleship. This is the second book I have read by Ortberg, and he has quickly risen in the ranks to be a much favored writer for me. I was saddened when I learned of the death of author Pat Conroy. That sad event occurred on March 4, 2016, Mr. Conroy was just past his 70th birthday. Over the course of his writing life, he authored more than a dozen books, mostly novels. The University of Georgia Press has produced a collection of short essays praising Conroy’s life, friendship, and work. 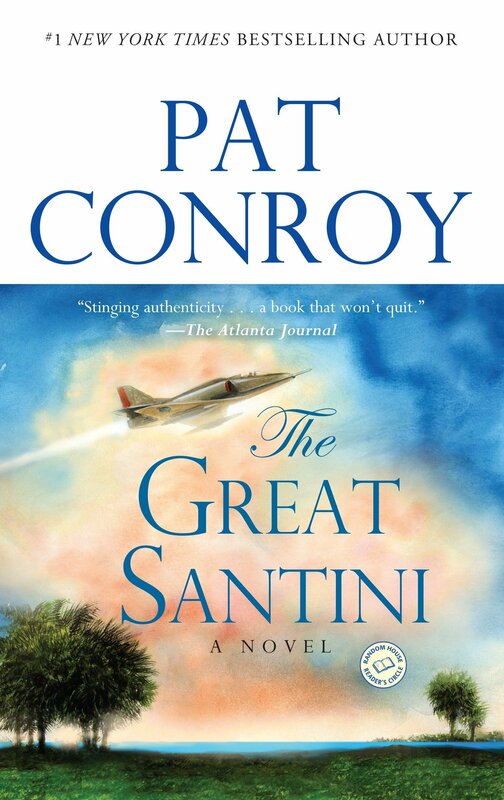 The contributors are mostly friends and also authors whose writings were inspired and encouraged by Pat Conroy. Here are the details of the book: Our Prince of Scribes: Writers Remember Pat Conroy, edited by Nicole Seitz and Jonathan Haupt, published by the University of Georgia Press, hardback, $29.95. I carried the book along with me on a field trip. We were sitting in on voice lessons by an outstanding baritone singer and music instructor. While listening to both the singers and the voice coaching, I began working my way into this collection. At first, I was reading the book in order, beginning with the first essay. At some point, I put the book down to listen, then picked it up again, and randomly opened it. I read the essay I turned to and then turned randomly to yet another selection. This book is a thoroughly delightful snacking book. Open it anywhere and you meet a writer (many of whom I have not previously heard of) and you get another fun or interesting glimpse into the life of Mr. Conroy. At this point in this preview, I will trace my own incomplete journey through the books of Pat Conroy. My first Conroy book was My Losing Season. I found a nice copy at the local Goodwill; the book was by an author I had heard of a lot; and it was about basketball. I read the introduction while sitting in the waiting room to see a doctor. This was both an enjoyable and frustrating book. On the one hand, one has to recognize that Conroy was using his artistic license to retell game after game of several seasons of basketball he played at the Citadel. The coach was brutal, but not nearly as brutal as Conroy’s father. The team was tough and skilled, but never achieved all they could. Conroy and other players bemoaned their lost opportunities. As a non-athlete, I was irritated at their forlorn attitudes because their playing experiences were incredible. Major take-away: In this book, the reader meets a few recurring Conroy-types. There is the frustrated athlete, the occasional teacher who pushes literature, the cruel father, and the lost opportunities. 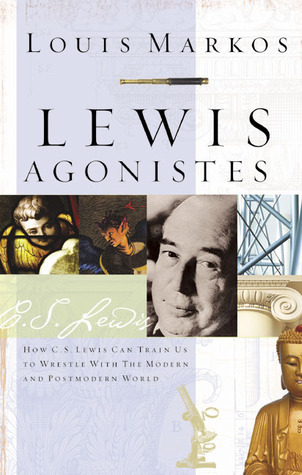 This book was autobiographical, but much that is in it shows up in some form or another in his other books. I believe that The Lords of Discipline was my second Conroy read. This is, in my opinion, the best book he wrote. It has plenty of autobiographical ties. It is about a young man’s years at the Citadel; the young man plays basketball; the young man has an abusive father. But there are several developing stories within the greater story. And there is something rotten in the state of Denmark, or the Citadel, in this case. This is not a nice clean read. The characters are mostly testosterone driven, competitive, tough young men. The hazing system of the Citadel is brutal, as in unbelievably brutal. Any person, particularly any young man, more particularly any young Christian, who is thinking about going into the military or who is trying to get into one of the military academies, absolutely must read this book. If hazing, bullying, pain, profanity, lewdness, bad company, temptation, alcohol, etc. as found in this book are too much to handle, go even step into the recruiter’s office. Great story. Unforgettable. And it got Conroy in big trouble with the authorities at the Citadel. For years, he–as a graduate–was persona non grata. Thankfully, in time they recognized that this graduate was worthy of honoring. The Water is Wide is a more delightful story based on Conroy’s short-lived experience as a teacher in a really disadvantaged school on one of the islands off the South Carolina coast. Long before I read this book, I had watched the movie version of it and loved it. (I have also seen the movie versions of Lords of Discipline and The Great Santini.) This is in the category of uplifting books that teachers like. Against great odds and with limited resources, the teacher gets put into a classroom where the students are disadvantaged and not expected to improve. But by pluck, love, and perseverance, the young lives are changed. This book ain’t pretty reading. Hilariously funny, heartbreaking, scary–all of that, but not pretty. Yet, it is the testament of a man who–despite his viciousness–loved his family. 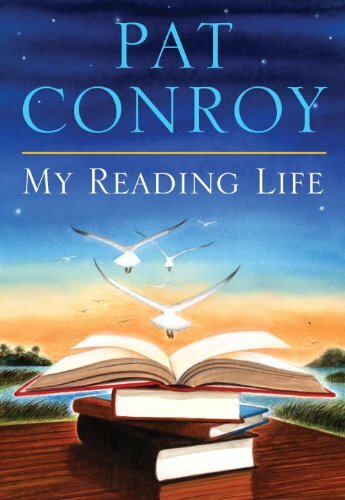 My Reading Life is a very delightful account of Conroy’s reading habits and preferences. It includes tributes to his mother who fostered his love of reading, as well as discussions of teachers who influenced him. Whether someone wants to read Conroy’s other books or not, this one is well worth reading. I was thrilled a few years back to discover that my “extra copy” of this book–a like new volume that I paid $2 for–was autographed. What I don’t have or have not read includes Prince of Tides, Beach Music, and The Death of Santini. Hopefully, really nice, maybe even autographed, copies will show up somewhere along the way. I might just have to fork out the full amount and buy A Lowcountry Heart: Reflections on a Writing Life. Two things I do not get to do often enough: Re-read books and write reviews of older books. The pressure is always on to get the latest review copies of new books read and posted. I am almost always about 20 books behind. But I did recently venture out to re-read a book that I first read over 30 years ago, I think. And I will discuss it below. I first read this in the early days of my pilgrimage that involved wilderness wanderings through the world of intellectual Calvinist worldview thinkers, history, theology, and entering the teaching profession. I know that when I was reading Rushdoony back in the late 1970’s and early 1980’s that I was often lost as to what he was saying. I reached the point where I was on his level around…well, I have never reached his level, to tell the truth. But I do understand more than I used to. Let’s begin with this issue: Why is Rushdoony so often disregarded or purposely ignored, or scorned? Rushdoony wrote lots of books. They are still being published, long after his death. He gave many spoken messages. He was almost never predictable or prone to giving the status quo interpretations of events. When he was wrong, he could be terribly wrong. When he was informed and grounded, he could terribly frightening. Many a smart-aleck lawyer got his come-uppence from stepping into the squared ring with Rushdoony during his testimony in favor of home schoolers. The guy was far better read than his contemporaries and had a remarkable memory of what he had read. And wouldn’t it be nice if RJR had just been a convention preacher or theology teacher? But he was salt in the wounds of theological types as well. So, instead of neatly fitting into the category of a historian or a preacher, he was the proverbial square peg that wouldn’t fit into either round hole. The same thing happened when he ventured into philosophy or other disciplines. At the end of The Biblical Philosophy of History, he talks about this problem. A fellow pastor had written to RJR and suggested that he should not use the pulpit and his role as a pastor to talk about economics. Rushdoony was not one to be cowed into staying put in a compartmentalized view of ministry. Repeatedly, he emphasized that God was sovereign over every area of life and thought. Then he proceeded to apply that concept to every area of life and thought. Rushdoony was a polymath and widely copious reader. He loved reading for its own sake, but he was always filtering what he read through his theological grid. “How does this book, idea, concept square up with Scripture?’ was the guiding principle of his reading. Many of Rushdoony’s earlier books grew out of grants and commissions to produce studies on particular topics. He was generally more the essayist rather than the writer who would develop a book on a specific topic. By that, I mean that his books consisted of essays on different angles of an issue and could often be read out of order in his books. The Biblical Philosophy of History was published in 1969 and contained no introductory material indicating a theme or design overall in the book. Instead, some 15 essays (two of which appear as appendices) were put together under the topic of history. Perhaps, the collection should have had a less bold title and been something like Essays on History. 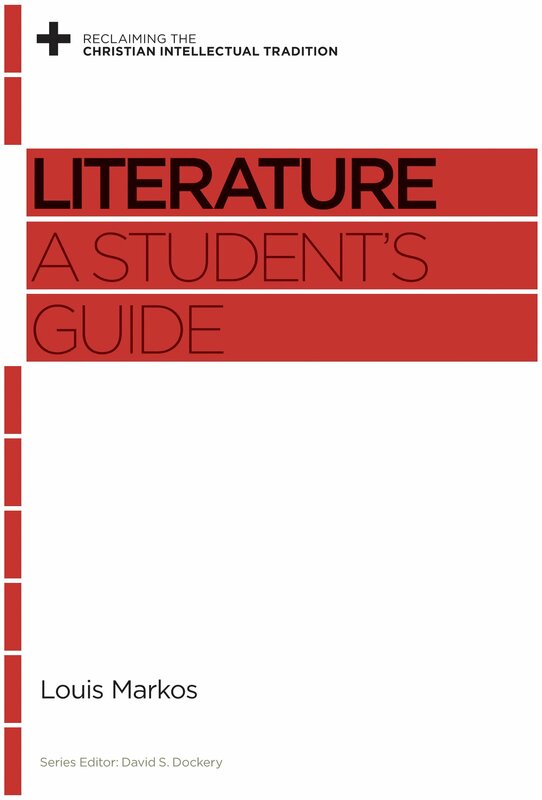 Instead, the title of the book is derived from the title of the first essay. The foundation of that first essay is the doctrine of creation. “Basic to the Biblical philosophy is the doctrine of creation,” Rushdoony says. Then he goes on to list and detail the implications of God being the creator in terms of nine propositions. These propositions provide an outlook on the most fundamental meaning of history and all of life. The chapter is, in short, a systematic theology, a worldview, an epistemology, a philosophy, and/or a set of governing principles for all of life. The second chapter develops the theme of victory in history, which is a powerful aspect of not just Rushdoony’s eschatology. But that is not to say that only post-millennial Christians would appreciate the chapter. Rushdoony goes on to analyze different theological/philosophical concepts in terms of their relationship to history. These studies include examinations of time, regeneration, truth, the incarnation, the virgin birth, and natural theology. Needless to say, the college classes that I took on American, British, and Russian history did not have any overlaps with the course of Rushdoony’s writings. Published at the end of the 1960’s, Rushdoony was addressing many of the fads, fears, and fallacies of his time. Therefore, some of the concerns or issues are no longer around or are not being posed in the same manner. But that is the nature of all writing. What abides is the Biblical insights into life, history, and culture that Rushdoony asserts. Rushdoony’s premises are all developed out of his Calvinistic theology. 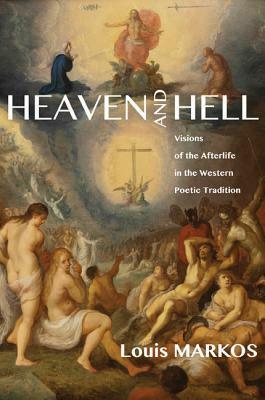 This book was part of a series called the International Library of Philosophical and Historical Studies, published by the Craig Press. 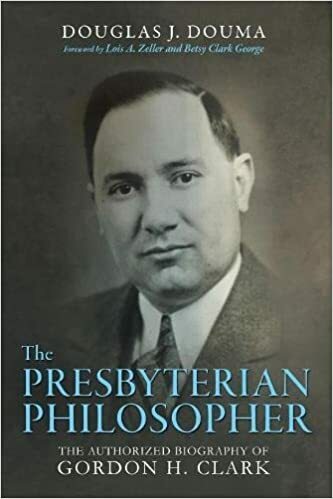 Actually, the series was published by Presbyterian and Reformed Publishing Company, but the name Craig Press was used to help the studies gain entrance in non-Presbyterian and/or Reformed college settings. 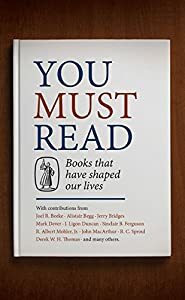 I have written often on the plethora of great books that grew out of Craig Press and largely out of the team work of Rushdoony and publisher Charles Craig. (See James Jordan, The Closing of the Calvinist Mind” for a brilliant discussion on this topic). For the aspiring historian, there are better books that deal with Christian approaches to historical studies, or with the influence of Christians on historical events, or with the history of the Church or particular churches. This book is not a simple “how to” book, but one that will challenge the reader to think on the connections between the Bible and theology in relationship to history. 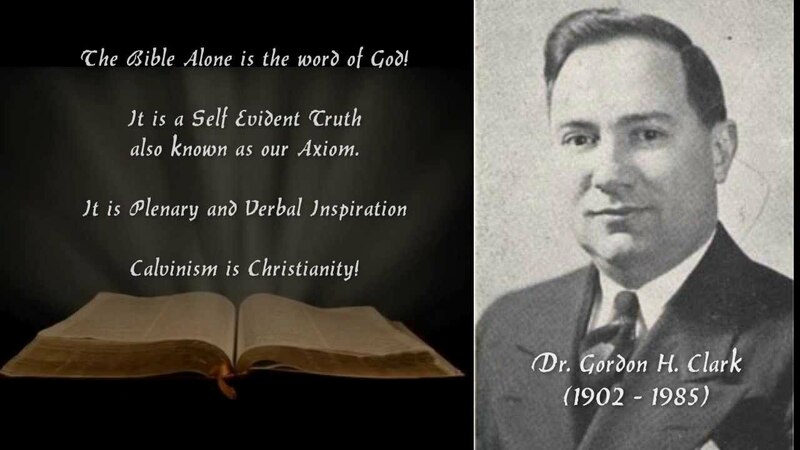 As for the now defunct idea that Rushdoony was battling, the connection has to be made between the enemies of the Faith today and the Biblical answers. Where Rushdoony does not or might not supply the ready made answer, by his reading and primarily by his approach to the Bible, he does give us the method for these times and all times.